promising screens. but isnt it to dark for tf2? Yeah I'd say the brightness needs to be brought up. The map looks nice but it is dark and complex. Well thats how I wanted my lighting. I was sick of all the full bright maps. It actually works quiet well, you can see the other team fine everywhere. Updated to a6b, changed download link. Thanks for testing it. The feedback that we need is on layout issues. I dont know why everyone was freaking out about hl2 textures and how I did the lighting. Some people like it and some hate it. 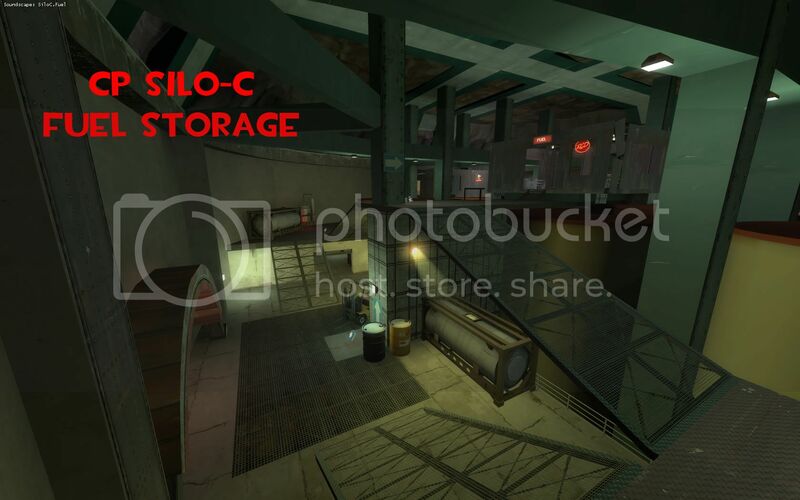 We are going to keep the hl2 textures, not every area is using it. Some areas are meant to be darker, but we may revisit some lighting. So, please stop giving us feedback about this, it is not very helpful. I know tf2 is suppose to be bright and have a certain cartoony look, but I was sick of full bright and i wanted it to look different. Does it really deter the game play and players that much that I MUST change it? I also dont understand why everyone was confused about 1 control point. But then in round 3 people wanted one CP per round. This is conflicting feedback. Also the doors were confusing why? Every door has a sign on it that tells you what door is for what. I cant leave the doors open because of fps issues. Also in security hub there is a entrance on the roof which can be used to take out any sentry by a soldier or demo. No one seems to know about that, is there a way to tell players that you can go up there? In round 3, If I do make the control points lock once blue caps it, would it really change the game play that much, so its like gravel pit? Also we never got to round 4. If anyone is looking for something to do, can you please take a look at it and tell us what you think? If you want people to test your map, you need to accept criticism on all points. There is a reason why everyone felt the same way throughout the play test; there were issues with it. Map making is an art form, and the map maker SHOULD go by what he wants to do. However, on the same token, not everyone has to download this map and play it. Hence, the game days help you see the problems everyone else has with it. - The unique system you've created has issues. If the defensive game day testers didn't just give up re-capping the points, it would lead to an automatic loss from the offensive team on the last "phase". There is a reason it never got to the 4th round; nobody wanted to continue playing the map in this state. - The layout is very confusing, and lacks signage to explain the locations in detail. - Doors open, and look like "always closed" doors. It was confusing, to say the least. Here are some ways you can improve the next alpha, atleast in my opinion. - Make the map brighter. - Make the scale smaller on points where it is excessively large. - Lots and lots of signage! You can always take away too much, and people can give you advice on it. Honestly, I'm more willing to overlook the HL2 props, HL2 music, incredible darkness and all that than I am to overlook RED recapturing the points once BLU's taken them. Original or not, that makes it damn near impossible for BLU to ever win that round. If that much was fixed, this map would probably be considerably better, seeing as the other things everyone slighted the map for didn't bother me all that much. If you want people to test your map, you need to accept criticism on all points. I am accepting it, I am just asking questions to why they dislike certain things. I dont think that is unreasonable and I still haven't received an answer to these questions. We were just shocked at all the negative criticism today because most play test we done recently, have been very positive. There is a reason why everyone felt the same way throughout the play test; there were issues with it. Map making is an art form, and the map maker SHOULD go by what he wants to do. However, on the same token, not everyone has to download this map and play it. Hence, the game days help you see the problems everyone else has with it. Ok, where was it too dark? Please dont say everywhere for that is not helpful and I know everywhere is not too dark. Its not like I have some magical screen that makes things bright. I see the darkness also and I do not see where the places are that people cant see. I am probably going to make it like gravel pit then to see how it plays out. I have done many other play tests and each test is different. I am not too sure on how to interpret layout changes if every game is different. Can you explain why the layout is confusing and where there is a lack of signs. I didnt see many people using the signs that I have created. If you followed the signs you wont get lost. I have had other play test and when they followed the signs, no one got lost. I tell the player where to go, what else do I have to do? To us and others there is enough signs. What areas do you feel there needs to have more signs? Well like I stated before Every door has a sign on it to tell players what door is used for what. I am probably going to redesign round 2 and 3 and separate these 2 areas completely so players don't have to go into security hub. Yes that is how I built the map. I still would like to know where the lighting issues are. As in size/scale do you mean the travel time? I know there are some bad travel times. I am planning to change round 3. We plan to completely separate round 3 from the other areas and put it to its own area. This will cut down on travel time and change the layout. Security hub will then have more room and not be accessible during round 3. Ok thank you tomhoen. I will look at these places and adjust accordingly. I still want to keep the feel of the areas for ambiance, but if players are frustrated by it. I will change it. Brick, don't get too frustrated. The feedback process can be quite a challenge for new mappers. Unfortunately the popular maps like cashworks tend to get the bulk of in-depth feedback. These maps certainly deserve the attention they get, but it would be nice if we could all give more help to the less experienced mappers. But with people's limited time, it is understandable that they get on the bandwagon of the popular maps. 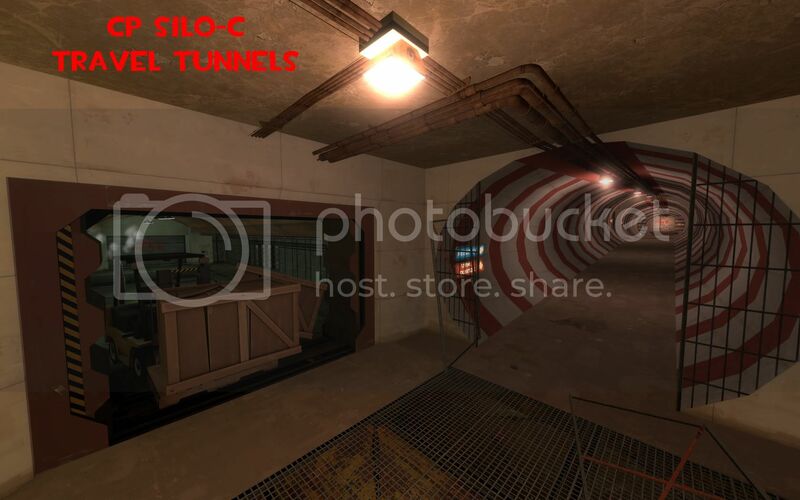 As for the lighting and HL2 textures issue, this is a common complaint among TF2 players who want maps to have a TF2 feel. That said, if you can really do an unconventional map well, it can become popular. I do think you can keep your same underground base feel, yet increase the lighting. Think about pipeline. It is a night themed map, but it isn't really dark. Bottom line, you are likely going to get the best feedback from your friends who know you and will take the time to provide in-depth feedback. Remember, any feedback is good feedback. Updated map to alpha 7 and changed download link. Didn't get a chance to play myself but I did record a demo last night. I will be updating to a7 (or current) before we test it again. Hey thanks playtesting. The download link for the demo seems to be corrupt. I downloaded it twice and it get stuck in the same spot while un zipping. sorry. I will try an re-upload when I get home if I didn't already delete the source.